With my background, education, and own experiences, I am often asked to meet one-on-one with expecting or postpartum moms to go over their upcoming birth or to process their birth. Typically, the discussion is related to recognizing fears and overcoming them, offering encouragement, discussing options, supporting mom’s goals, and birth story listening. 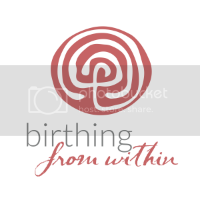 I will listen without judgement, provide a safe space for conversation, and offer support, encouragement, and suggestions for personal work as you journey toward your birth or process your recovery. Sessions can include addressing fears, creating birth art, discussing and preparing for various outcomes, writing a birth plan, dealing with past experiences, visualizations, journaling, and more. Many questions will be answered and a lot of topics will be covered in my childbirth classes. However, addressing fears and offering specific support often needs dedicated one-on-one time. If you’ve attended a childbirth class, talked with friends and family, read your pregnancy and birth books, and still feel uneasy or have unanswered questions—let’s chat! Let’s get empowered—YOU CAN DO THIS! Contact me for more information on setting up a one-on-one private session. Available for just mothers or for mother + partner couples.